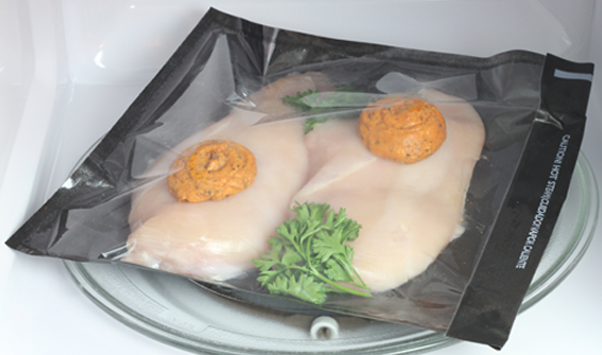 Microwave/Oven & Grill Bags | Steam Cooking Bags | Ready. Chef. Go! | Ready. Chef. Go! Ready. Chef. 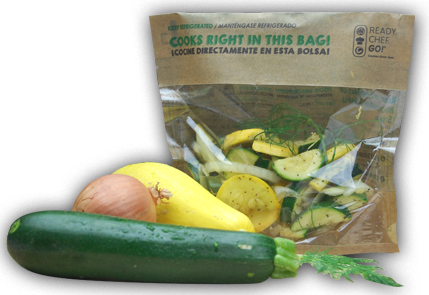 Go!® cooking bags make cooking easy, regardless of your experience in the kitchen. Just place fresh, seasoned or marinated proteins and veggies in the bag, seal it, and cook it in your microwave or oven for a delicious meal in minutes. Cook any protein or vegetable in the microwave, in the oven, or on the barbecue. Prepare meals without cookware, in as little as 3 minutes and minimal cleanup. Gently steam foods to lock in flavors and juices. Use fewer fats, butters or oils to cook tasty meals. 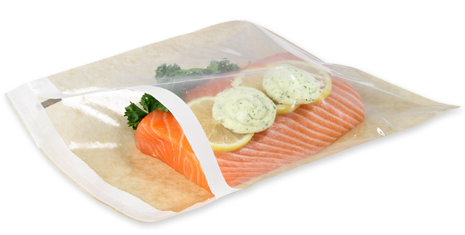 Bags designed for cooking meals in your microwave or oven, in minutes and without the mess. 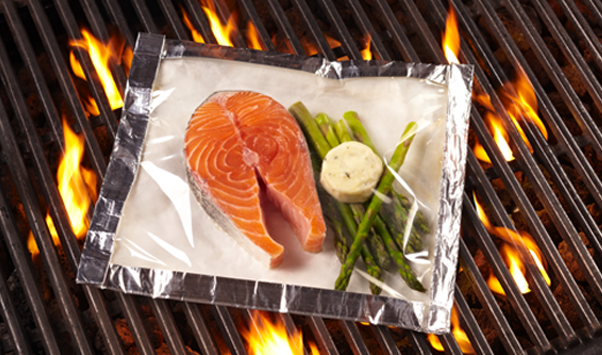 Bags designed for the grill of your oven or barbeque, without flipping or flare ups. Ready. Chef. Go! cooking bags are available, often with prepared meal ingredients already in them, at leading grocery stores around the country. Grocers package fresh meat, seafood and produce in these unique bags to create ready-to-cook meals that are fresh and convenient. Ask for Ready. Chef. Go! at your local grocer.